Prepaid products company InComm, along with financial services company Fiserv, have joined forces to let customers pay their bills using cash at stores where they traditionally shop, reports Julie Muhn at Finovate. Bill payment transactions are powered by InComm’s VanillaDirect Pay. When a bill is due, the consumer receives a QR code on their smartphone from the biller. At the point of sale at a brick-and-mortar merchant, the cashier scans the QR code, which adds the customer’s billing balance to their total, which they can pay in cash. After payment, the consumer receives a receipt as proof of purchase. There are not currently any live merchants on board for the cash bill payment option, but it will soon be available at InComm retailers such as Dollar General and Family Dollar. 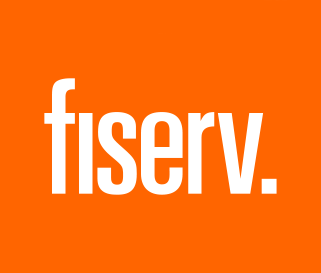 Fiserv’s CheckFreePay offers billers a cash bill payment option, enabling them to support all channels, including web, mobile, financial institution websites, walk-in, print, and mail. This cash payment option competes with PayNearMe’s service. Founded in 2009, PayNearMe offers a QR code-based payment service that allows customers to pay at 27,000 retail locations, including CVS, 7-Eleven, Family Dollar, and Casey’s General Store. doxo also has its foot in the door with cash-based bill payments. The company partnered with Coinstar in April to allow users to pay billers using cash at Coinstar kiosk locations. InComm offers more than 500,000 points of retail distribution with 1,000+ brand partners in more than 30 countries. Earlier this month, InComm acquired Gift Card Impressions, making it the company’s seventh acquisition.